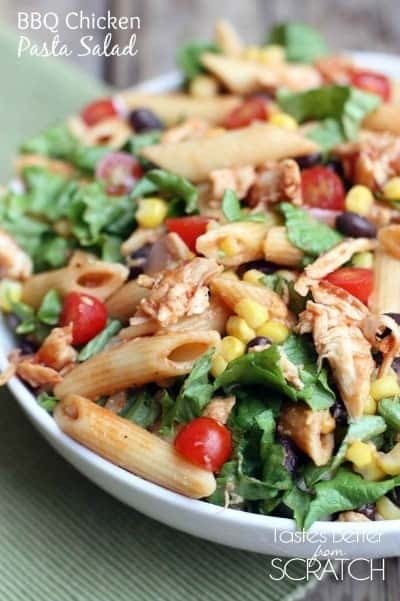 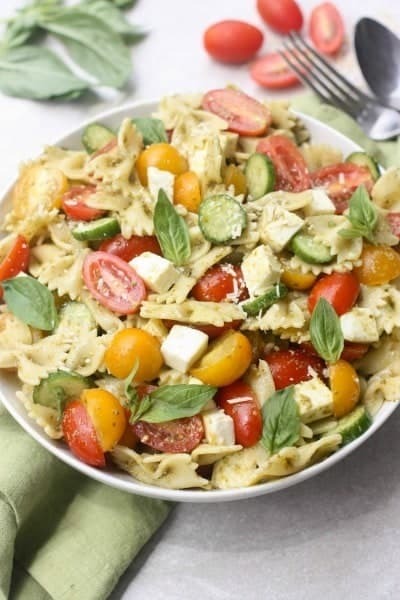 A round-up of more than 25 pasta salad recipes! 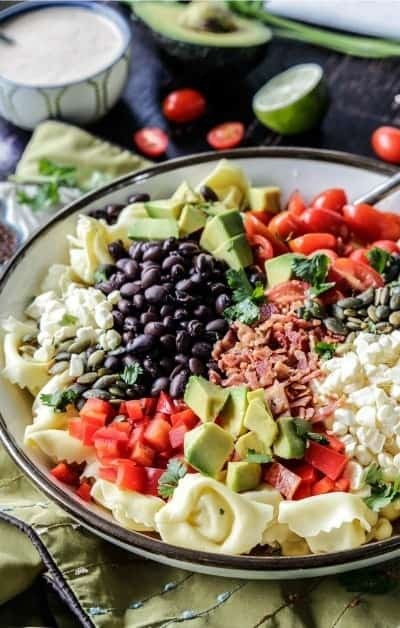 This list has something for everyone! 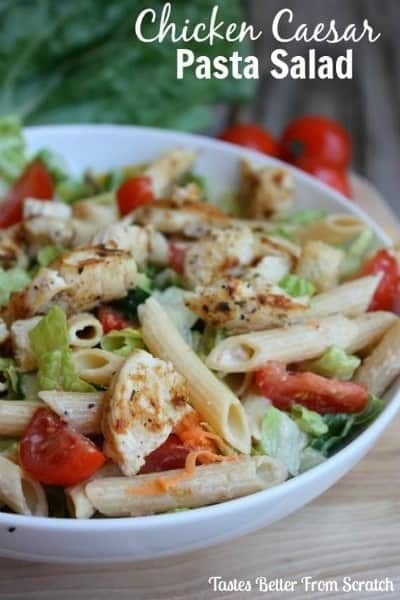 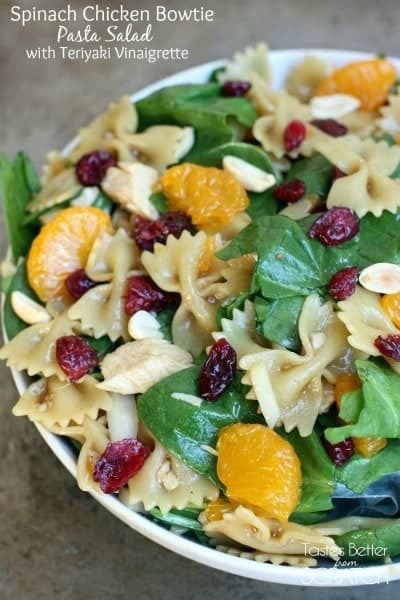 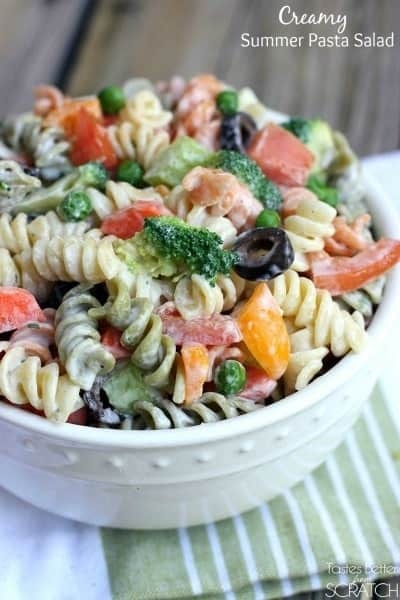 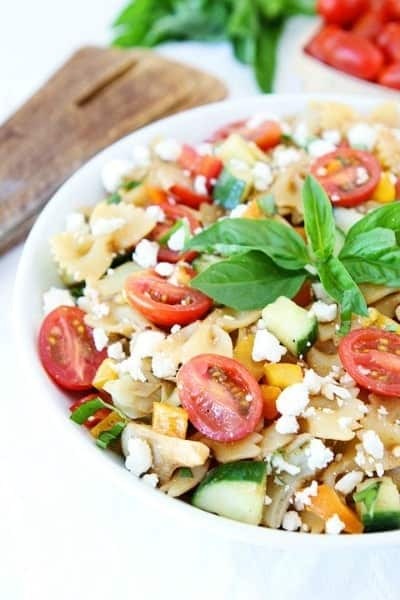 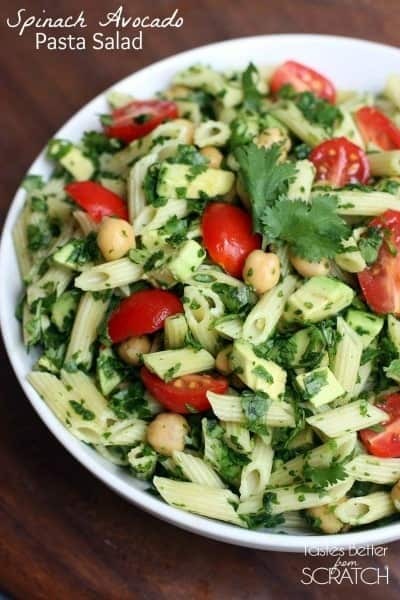 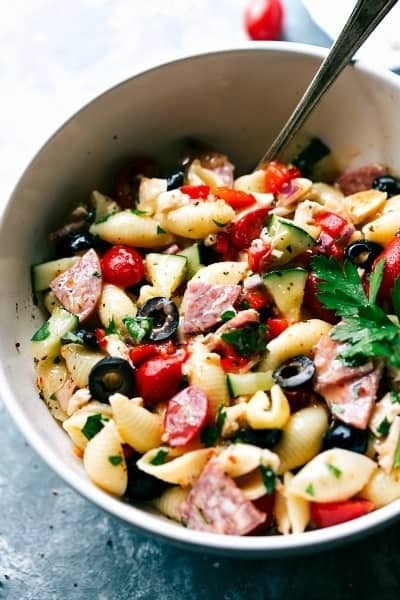 I love pasta salad because it seems like a perfect compilation of healthy and hearty! 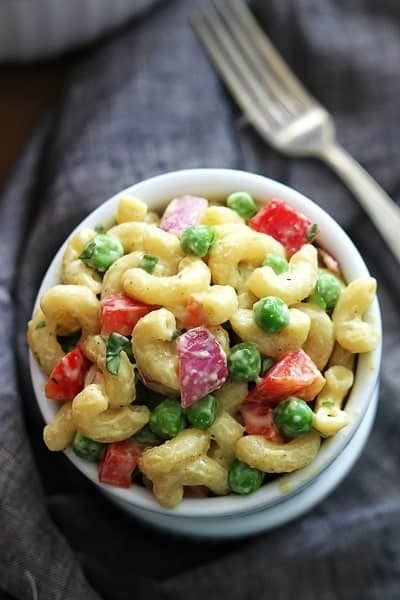 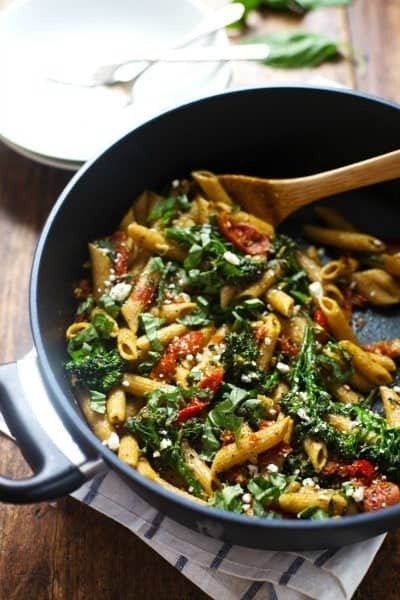 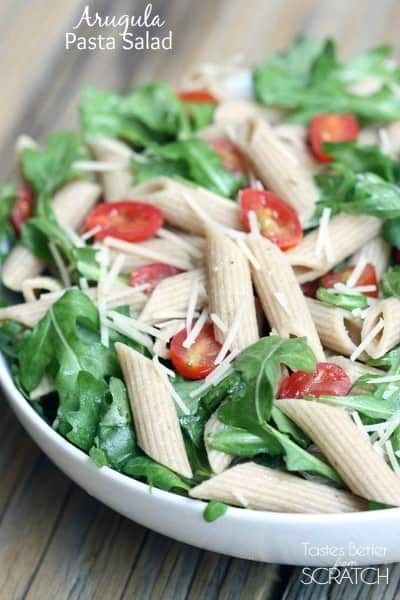 These pasta salads are filling in enough to serve as a main dish and they are yummy enough to bring as a side to a party. 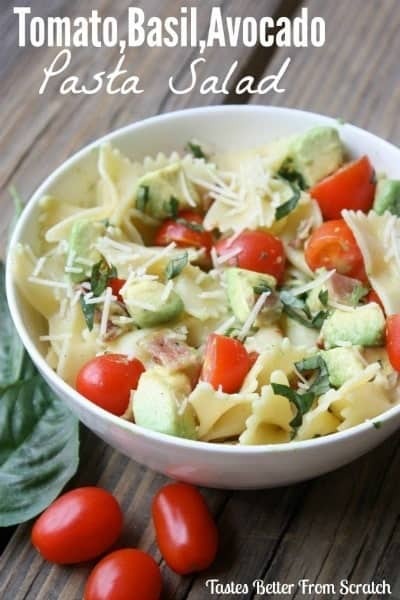 And best of all, they are so simple to make! 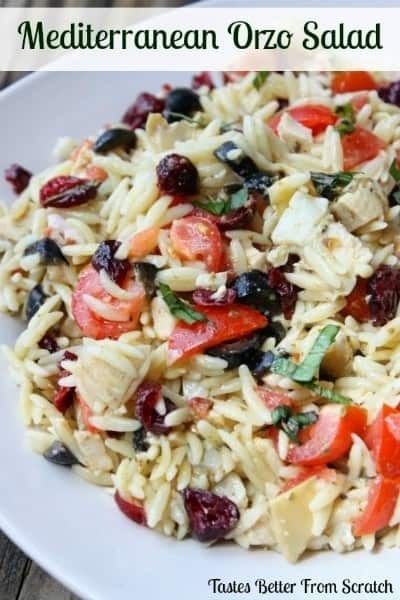 I hope you find a few family favorites from this list of pasta salad recipes!